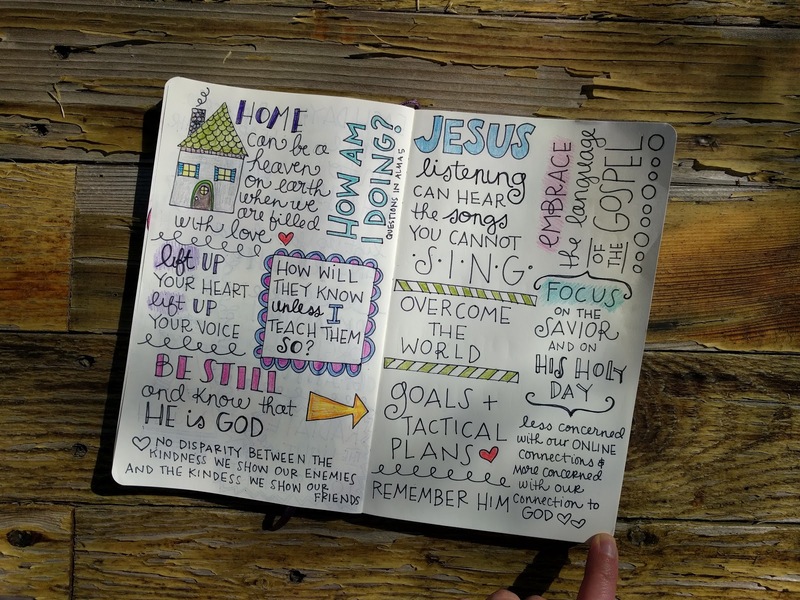 When I shared these photos of my Sketchnotes from LDS Conference a few weekends ago, I heard a similar comment over and over again, "I wish my notes looked like that!" While I do believe anyone can take notes like this, I thought it would be fun to share mine with you. 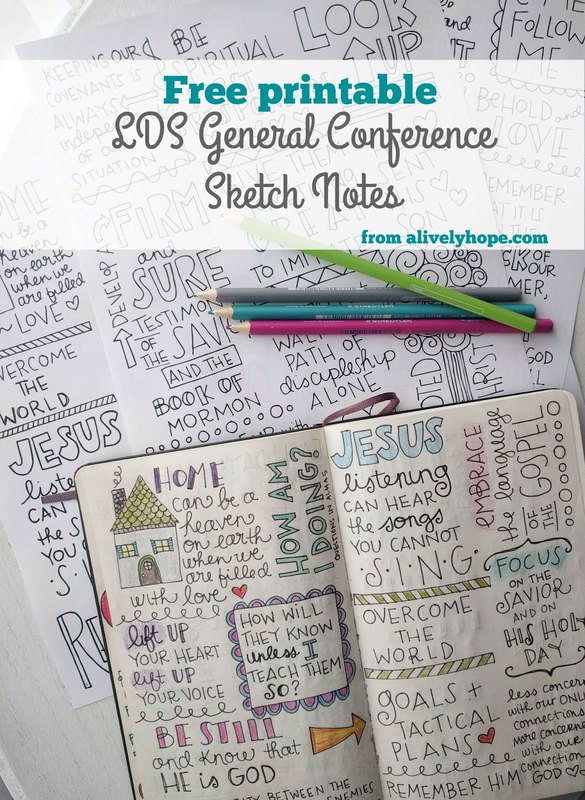 So now when you go back to study the Conference talks (I'm going to use this plan from my friend Sheena at Little LDS Ideas) you can use these sketchnotes as well. 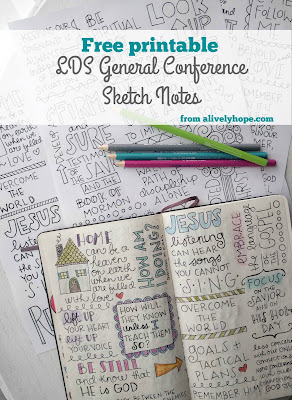 The free download includes four pages of my hand-drawn sketchnotes, one page for each of the Saturday and Sunday sessions of LDS Conference. These are the words that stood out to me. I tried to include one quote from each talk and song that was sung, though I can't promise they're all included. It's possible I was interrupted (multiple times a minute) by one of my little people while watching Conference. 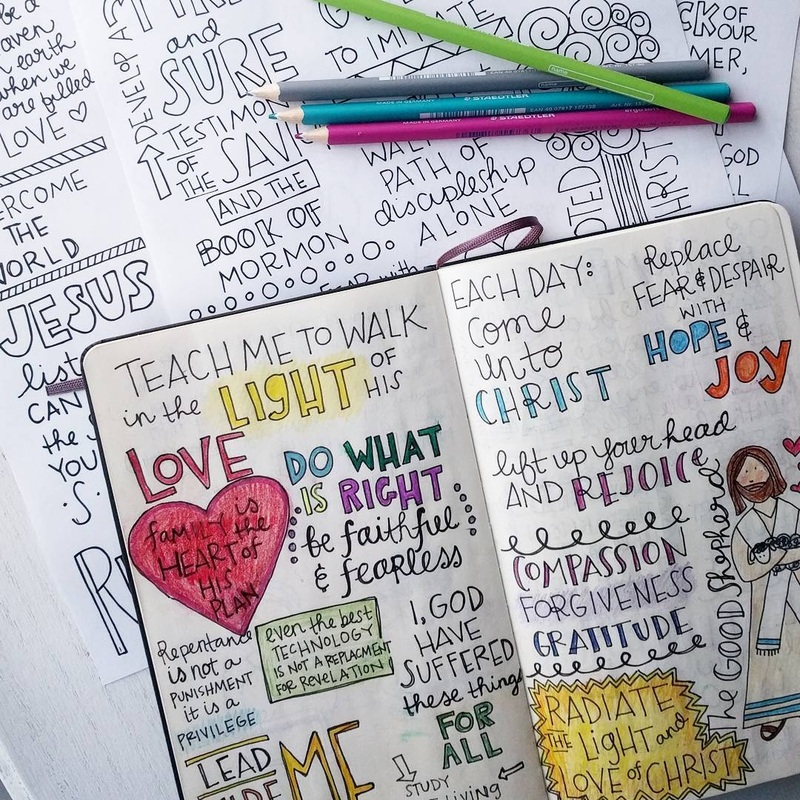 Print on sticker paper, cut out the individual notes and add them to your scriptures or scripture journal. 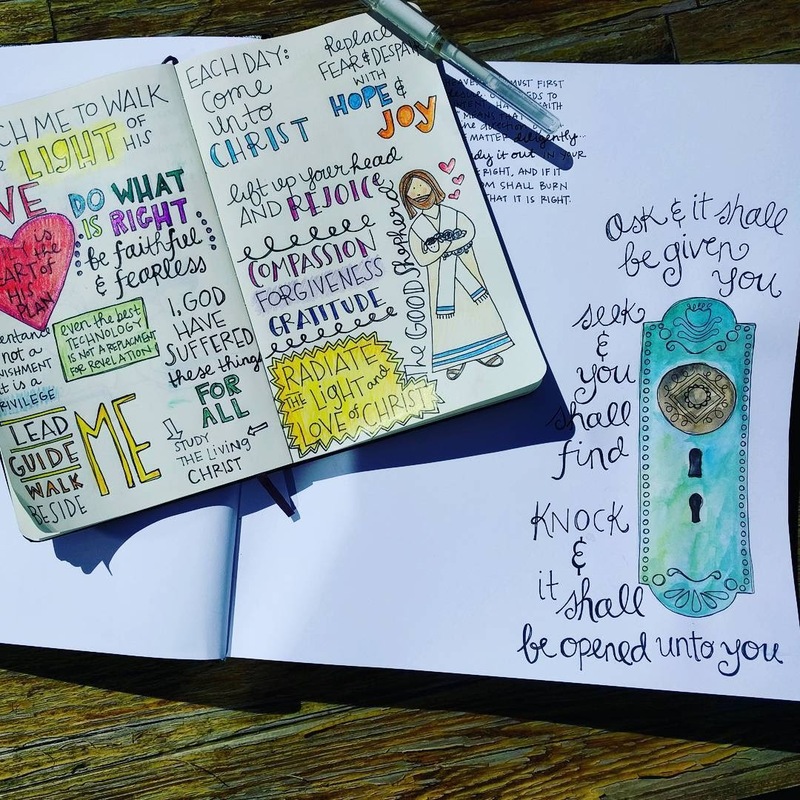 Color them in while re-listening to conference on lds.org. 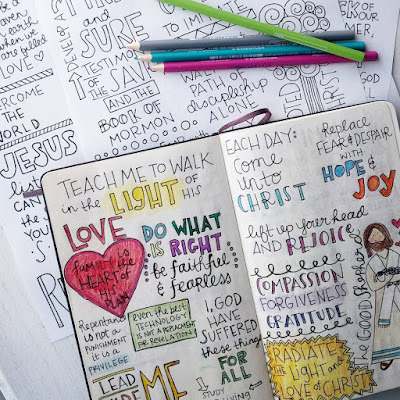 Print on regular paper, color and cut out the individual notes and glue them to your scriptures or scripture journal. How do you plan to use these pages? I'd love to see them in action! 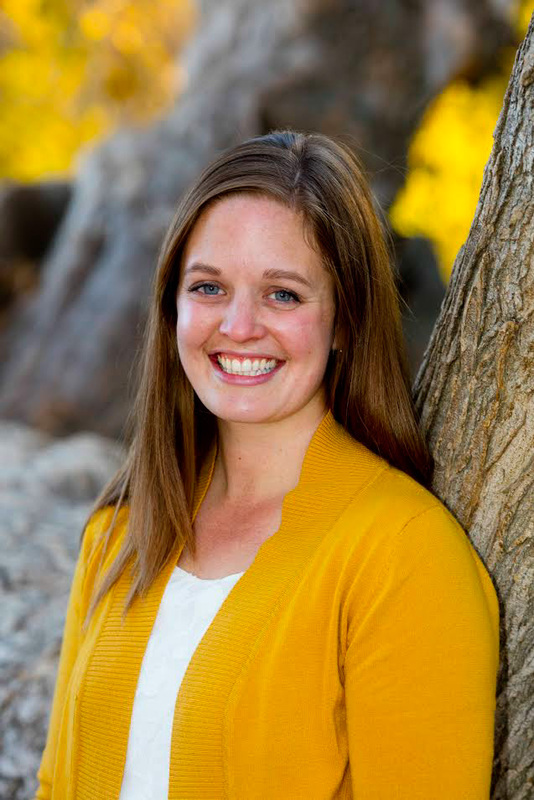 Also, I have a little Facebook group devoted to studying the latest Conference talks. I'd love for you to join us! To download these free pages, click ADD TO CART below. I really enjoy creating these pages, but as you can imagine, drawing and designing them takes me many, many hours. I love to be able to share them for free with those who are in need, and I ask that if you are able please donate a small amount to help me continue to be able to provide resources like this.